Croatian international, Luka Modric has been named winner of the 2018 Ballon d’Or beating off competition from former team mate Cristiano Ronaldo. 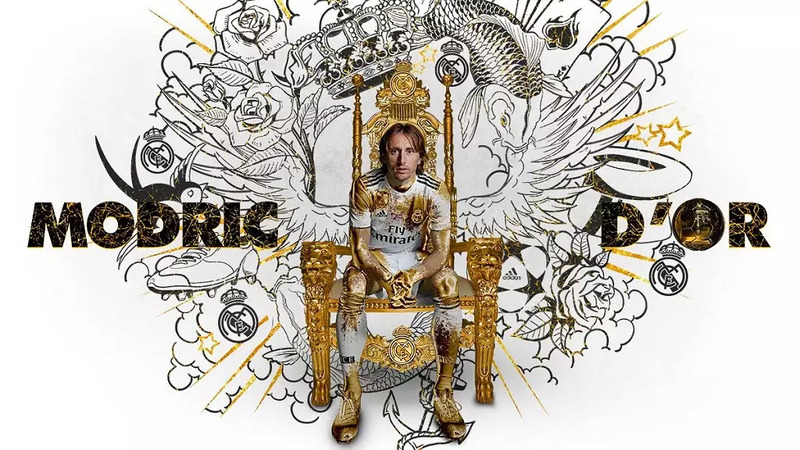 The victory caps a fine year during which he helped his club Real Madrid to the UEFA Champions league and to a top finish at the 2018 World Cup in Russia. Croatia were beaten in the final by France. Modric breaks the duopoly of Ronaldo and Barcelona’s Lionel Messi who had dominated the awards in the last decade. The awards ceremony took place in Paris on Monday with the highest ranked African player being Liverpool and Egypt’s Mohamed Salah who came in at sixth position ahead of Neymar and just behind Messi. The second to fourth spot was occupied by Ronaldo (Portugal, Juventus), Antoine Greizmann (France, Athletico Madrid) and Kylian Mbappe (France, Paris Saint Germain). The 2018 edition also awarded the first Women’s Ballon d’Or which went to Ada Hegerberg of Norway and Olympique Lyonnais’ women side.